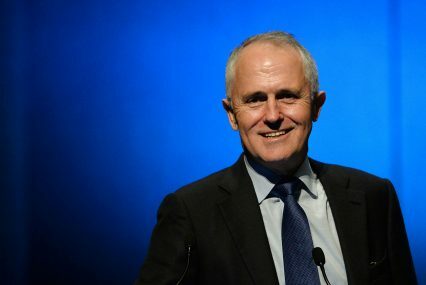 Malcolm Turnbull, who ousted Tony Abbott to become the new prime minister of Australia this month, is facing heat from opposition politicians over Australia’s free trade agreements. The change Down Under, combined with the upcoming election in Canada, which may force incumbent Prime Minister Stephen Harper to push for a harder deal on dairy imports, are viewed as the major impediments to sealing the Trans-Pacific Partnership (TPP) this year. The end of 2015 has long been the unwritten deadline of the Obama administration, which is loath to continue negotiations into an electoral primary season that promises to be gruelling. With the Australian government also hoping to ratify the China Australia Free Trade Agreement (ChAFTA) and progress a proposed FTA with India, it is certain that the Liberal Party will continue to push its aggressive free trade agenda. This was made clear in the decision to allow Andrew Robb to keep his position as trade minister. Robb has been Australia’s key negotiator since September 2013. A number of challenges have, however, arisen from politicians and economists as to the benefits of the agreements to an Australian economy that is struggling with a commodities downturn and serious structural issues. However a report by government agency the Centre for International Economics found that ChAFTA, combined with FTAs with Korea and Japan would add just 5,434 jobs to the Australian economy. Dr Rimmer says that Turnbull “is very much driven by empirical research. So my hope is that Turnbull will improve the treaty-making process, and provide some greater analysis”, while there has been a growing clamour among the opposition Labor Party for greater scrutiny to be paid to the deals before they are signed and sealed. Melissa Parke, the federal member for Freemantle, Western Australia, tells GTR that she is not hopeful of a re-evaluation, but called on the government to do more.